The candidate for African Democratic Party for House of Representative, Ede North/Ede South/Egbedore/Ejigbo Federal Constituency, Prof. Siyan Oyeweso has asked the constituents to give him a chance to right the wrongs committed in their constituency by voting for him during the February 16 General elections. 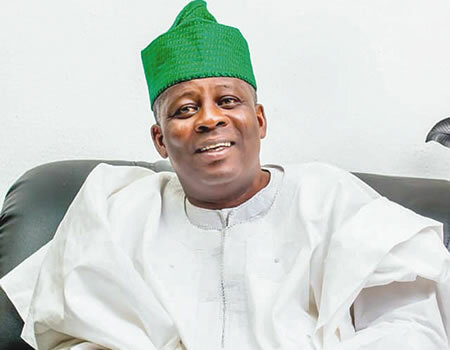 Oyeweso said that representatives from the ruling All Progressives Congress and even the Peoples Democratic Party have failed the people of the constituency saying that he had come as an agent of change. While addressing a press briefing on Thursday, Oyeweso said his constituency is the most backward when it comes to road and infrastructure stressing that "I am here to be an agent of change." According to him, "no street light from Akoda to Okegade, to Awo, a town that has been neglected by existing political party and as an individual, I believe the time is now for the youth to have a re-think about their feelings and decisions on politics. The youth nowadays, are the unemployed, these youths that are not employed are the managers of violence. "The street of Ede, Egbedore and Ejigbo are full of touts. The time is now; the era of myself, Prof. Siyan Oyeweso, the ADC House of Representatives' candidate to represent Ede North/Ede South/Egbedore/Ejigbo Federal Constituency.
" I need your votes and support for this change to be manifested," he charged the constituent voters.